The San Francisco Silent Film Festival presents Club Foot Orchestra’s GREATEST HITS. 1 PM – BUSTER & FELIX; 3:15 – CABINET OF DR. CALIGARI; 6:00 – METROPOLIS; 9:30 – NOSFERATU. The 10 piece ensemble of some of the best San Francisco musicians, performs their scores to classic silent films. Beth Custer, Clarinets; Sheldon Brown, Woodwinds; Chris Grady, Trumpet; Richard Marriott, Winds; Gino Robair, Percussion; Will Bernard, Guitar; Kymry Esainko, Keyboard; Alisa Rose, Violin; Sascha Jacobsen, Contrabass; Deirdre McClure, Conductor. A master of the previously obscure slide trumpet, Steven Bernstein is a fearless improviser, composer and arranger. For this four-night residency presents two of his most explosive ensembles. Performing THE BOSCO SERIES: Experimental Sonic exploration and Creative Jazz featuring Trumpet, Guitar, Drums and Synth interplay. Formed by saxophonist Joshua Redman in tribute to his late father, saxophone giant Dewey Redman, this quartet comprising four of the greatest instrumentalists in modern jazz draws inspiration from Old and New Dreams, the iconic 1980s band featuring the elder Redman and fellow Ornette Coleman collaborators Ed Blackwell, Charlie Haden, and Don Cherry. They return to SFJAZZ in celebration of the release of their new Nonesuch album, Still Dreaming. Join us for this unique and intimate chance to see Thumbscrew, comprised of contemporary jazz heavyweights Mary Halvorson on guitar, Michael Formanek on double bass, and Tomas Fujiwara on drums. All proceeds from this event benefit C4NM, supporting our efforts to create a space for new music to thrive in the Bay Area and beyond. We invite you to join us before the concert for a reception hosted by our Board of Directors including libations and light bites. 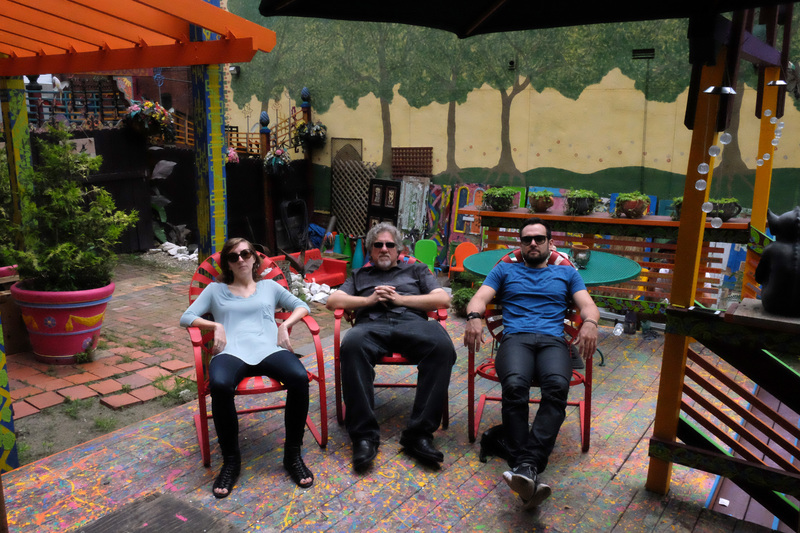 Connect with our new music community, then experience a special opportunity to see Thumbscrew perform up close at C4NM. Improvised music in relation to the playback of recordings of people reminiscing on health, both gains and losses.